Product prices and availability are accurate as of 2019-04-16 21:19:08 EDT and are subject to change. Any price and availability information displayed on http://www.amazon.com/ at the time of purchase will apply to the purchase of this product. 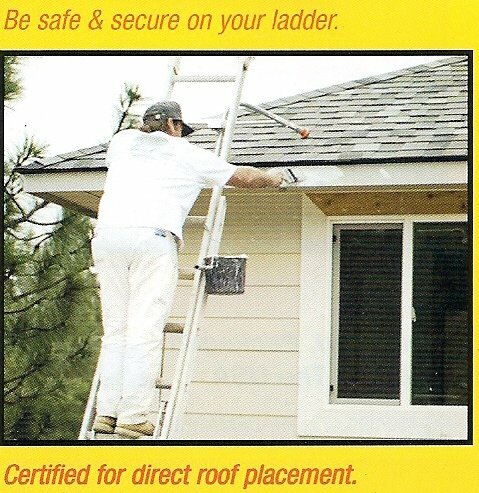 Enjoy safety and confidence while using your ladder. This is the best built, and easiest to use ladder standoff available to Homeowners and Contractors. 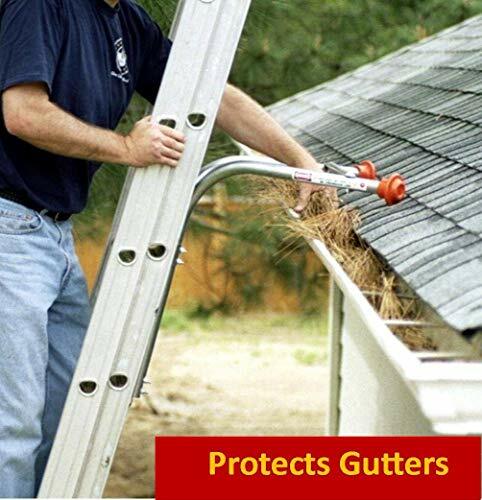 It improves ladder stability and safety while protecting gutters and other surfaces. 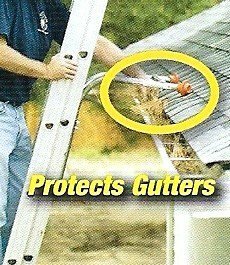 Great for cleaning gutters, installing Christmas lights, cleaning windows, safely getting on your roof, painting, and other DIY projects. It has been ANSI certified and tested for direct roof placement and can be used to comply with OSHA requirements for roof access. Ladder-Max provides 19" of standoff from roofing and walls and is built in the USA with durable zinc platted steel construction materials. Fits aluminum, fiberglass and articulating ladders. 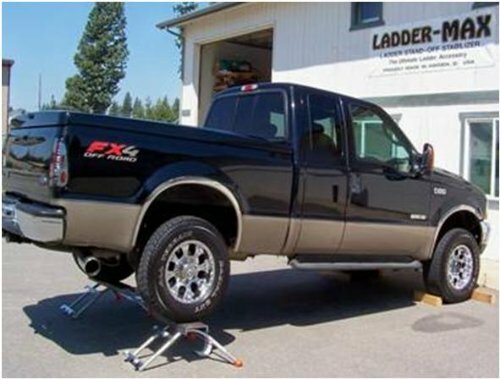 Ladder-Max takes 10 minutes to assemble and can then be installed on and off your ladder in seconds. For convenience add our NEW Tool and Project Tray, the Multi-Tray MT 1000. It easily connects with wto re-usable zip ties for quick on and off. The Ladder-Max Standoff/Stabilizer will fit ladders with the following clearances: 11-3/4 width between the ladder side rails; spacing of rungs 12 in on center; depth of ladder rungs the standoff will rest on should be 2 inches or less.